Can I bring my child on the tour? Can we bring someone under 21? Do we just drive around and drink? Can I purchase growlers or bottles to take home? What if people get drunk or unruly? A: Yes, we have to give the our site partners notice of how many people to prepare for. For most tours, tickets must be purchased at least as twenty-four hours before the tour starts. Our Saturday tours often sell out 1-3 weeks in advance. For some tours, tickets may be available up to 4 hours before start time. A: A guided tour, transport and 3-4 samples (on most tours) at each stop with a snack along the way. The purpose of the tour is not intoxication but education and enjoyment. A: . Please contact Columbus Brew Adventures to request a refund or to transfer tickets. Within 48 hours of a tour all tickets are non-refundable. For circumstances outside the guests control reschedules and transfers will be considered on a case-by-case basis. 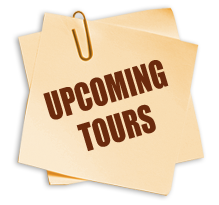 Please contact us as soon as possible if you can’t make it to a tour, the more notice we have the better chance we have of finding someone for your spots and arranging a credit or reschedule if possible. A: Although it is very rare, we do reserve the right to cancel in case minimum enrollment is not met or in the event of a severe weather condition. In the case of a weather cancellation (level 2 or 3 snow emergency), we will refund tickets or reschedule purchased tickets to another date based on guest preference and availability. We try to make decisions about weather cancellations 12 to 24 hours in advance of the tour (our guests safety driving to and from the tour is important to us too). In the unlikely event that we cancel a tour, we offer refunds of the full face value of tickets. A: We (very) occasionally have guests cancel at the last minute due to an emergency. We do maintain a wait list for most tours. If an opening does occur we will contact you but it may be with less than 24 hours notice. Please call or e-mail Jim@ColumbusBrewAdventures.com if you are interested in being on the list for a specific tour and date. A: For most tours, tickets must be purchased a minimum of twenty-four hours before the tour starts as we have to give the site partners notice of how many people to prepare and staff for. For some tours we may be able to take late bookings. Please call us at 614.619.6464 to see if we can accommodate you. We do maintain wait lists for tours. We often sell out weeks in advance. Q: Can I bring my child on the tour? Can we bring someone under 21? A: Our tours are strictly for those 21 and over. Please e-mail us if you have questions. Q: Do we just drive around and drink? A: Absolutely not! Our tours combine information about the city, craft beer culture and the Columbus brewing scene, creating a unique, fun and informative experience. The purpose of the tour is not intoxication but education and enjoyment. A: Yes, we find that even people who have lived in Columbus all their lives learn about new places on our tours. We also try to give you behind-the-scenes or unique experiences that you would not have if you weren’t on a Columbus Brew Adventure. A: We will ensure that there are plenty of bathroom stops on each tour. A: We should be able to accommodate most dietary restrictions with advance notice. Please feel free to email us about specific dietary requirements. For those that are not craft beer drinkers or even allergic to alcohol (we have had plenty of both) our tours are still enjoyable. We do not offer discounts for non drinkers. A: Absolutely! If you get a shot you love, please share it on Facebook, Twitter, Instagram, Tripadvisor or Yelp! Share it with us too, we would love to share on our Facebook page. A: Absolutely. Please see our private tour information page. You can also call 614.619.6464 or email us at Info @ columbusbrewadventures.com to arrange a private tour. A: Just a snack/appetizers. Food provided is not intended to be a full meal. One exception is the Pitchers and Pizza Tour which involves a full meal from pizzas sampled. On private/custom tours, we can offer snacks or full meals depending on itinerary. A: This varies, though most tours offer 3 to 5 stops. The description of the tour you’re interested in will show this information. Q: Can I eat or drink in the van? A: No, due to Ohio’s open container laws it is illegal to drink in the vehicle. We ask that guests eat snacks outside of our van/bus out of courtesy to other guests. A: It varies, but the maximum number is 14 for public van tours. Our minimum for public tours is 6 to 8 guests depending on the tour. For private tours, our minimum is 8 guests. Our private tours have served groups of up to 30 using select sites. We can arrange special events, single site tours and onsite tastings for groups of up to 50. A: Gratuities are not expected, but always appreciated. We also gratefully accept your feedback on Yelp!, Trip Advisor, Google or Facebook. Letters are nice too! A: Tours start promptly so as to stay on schedule and not delay other guests or our site partners. Please try to arrive 10 minutes before the tour departs. If you are running late, please contact us as soon as possible, you may be able to join us at a later stop. A: Additional beverages are not included. For public tours, we ask that you check with the guide before getting additional beverages so we can keep our group together and stay on schedule. If you order anything extra at a bar or restaurant it is at your expense. A: Yes, you will be required to present your ID in order to taste beers and other alcoholic beverages on the tour. We will check to make sure you have a valid ID before the tour. If you do not, then you cannot legally be served. Q: Can we purchase growlers or bottles to take home? A: Yes, there will be a cooler and some storage in the van and you are welcome to purchase sealed beer containers to take home. Q: What if people get drunk or unruly? A: Columbus Brew Adventures as well as our site and transportation partners reserve the right to refuse service or participation in the tour to anyone who is visibly intoxicated or disrespectful to a guide, guest or site partner. If your behavior is inappropriate or disrupts others you may be asked to leave the tour and return to the starting point at your own expense. We work hard to create an experience that is fun for all of our guests, guides and site partners and in order to sustain as a company and respect the craft community we will protect that experience from any behavior that would interfere with providing the best experience for all. Q: Should we eat before the tour? A: Yes, there will be light snacks provided on most tours but these are not designed to replace a meal. We do not recommend drinking on an empty stomach. We also try to choose starting points near places where you can grab a post tour meal before you hit the road or continue your own adventure.